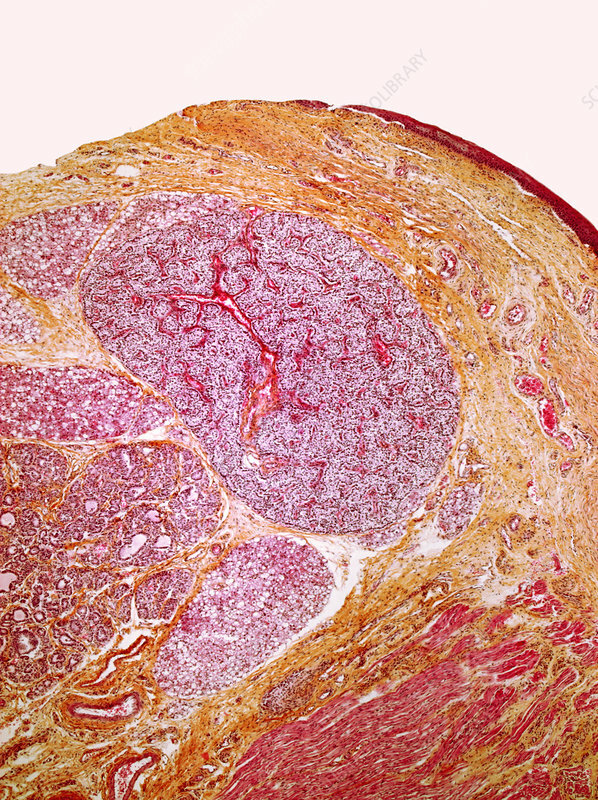 Normal parathyroid gland, micrograph of a section through a healthy human parathyroid gland. The parathyroid glands are four small endocrine glands located in the neck. They produce parathyroid hormone which is used to regulate the amount of calcium in the blood and bones. Magnification: x110, when printed 10 centimetres wide.